The PDF Generator Extension v1.0 is now available for purchase in the extensions section. It’s intended to provide a quick way to create PDFs from entries without having to edit any configuration files. The result is simple, effective and is designed to work as an integral part of Gravity Flow. 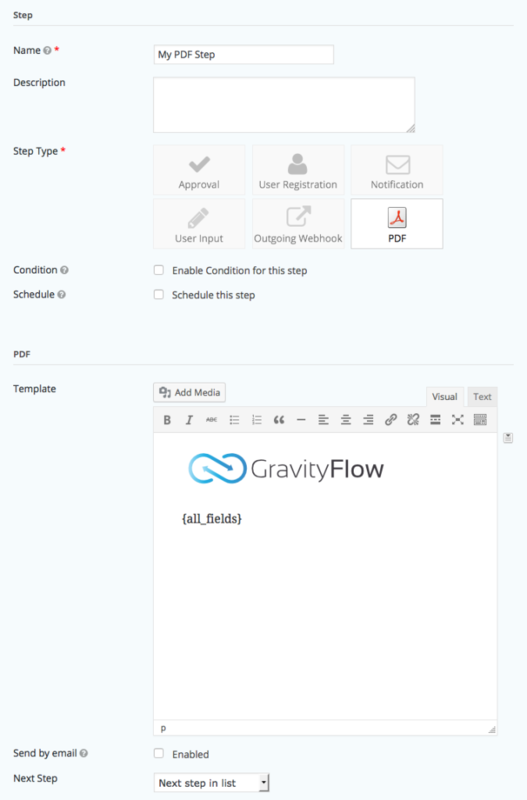 It’s intended to complement, not replace the excellent, full-featured Gravity PDF plugin which Gravity Flow also supports and will continue to support with further integration in the future.